Here it is (hear it!) in this YouTube video clip from 1997: https://www.youtube.com/watch?v=qkax_vjPx1U. 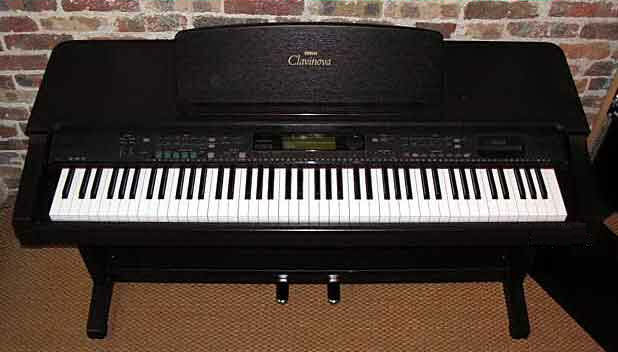 The Clavinova has had only light use, and is in excellent working condition. I would be happy to give it, free of charge, to any member who'd like to provide it with a good home. The only proviso is that it must be collected from Sheffield (South Yorkshire) within the next 4 weeks. It does dismantle, so will fit easily into an estate car, or a hatchback with the rear seats stowed. If you're interested, drop me a line at <sheffield@peteatkin.com>. In case anyone's worried about MV's future, please have no fear. Everything here will continue just as it always has -- you'll not see any difference. S J Birkill: Webmaster, Smash Flops; Administrator, Midnight Voices. Yes please!!!!! 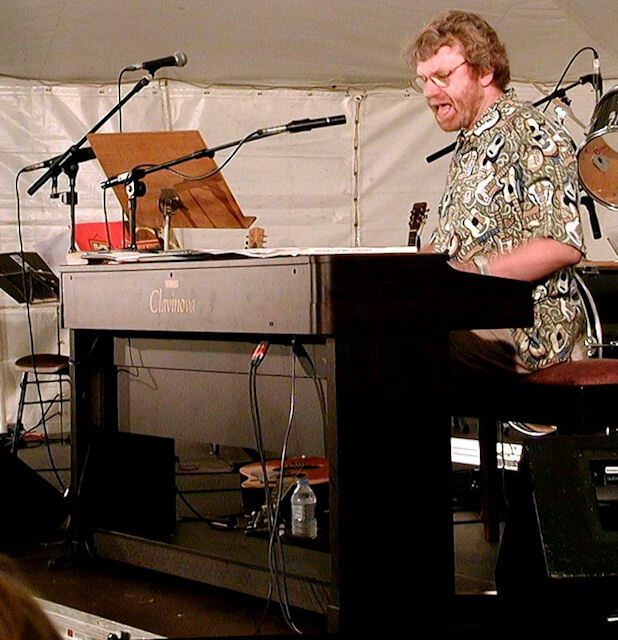 I am without a piano at home. It would be great to have this. Hope I' not too late. Well, I made the trip from Kent to MV Central today to collect the piano. My goodness, it was well worth the eight hours or so on the road to get there and back. Now safely transported, re-assembled and sounding wonderful. In honour of its provenance, I 'christened' it with my covers of History And Geography and The Flowers And The Wine, followed by Faded Mansion and No Dice. Big thanks again to Steve and Carole for their generosity. All hard on the heels of a gig in Hastings tonight! Great to know it’s gone to a musician who will appreciate it. And you’ll soon have some new songs to learn on it, Gerry! Yes, of course, the new album! Looking forward to working through the new songs. Excellent! It was good to see you again, Gerry, and we're very pleased it's all up and running! Glad it went to a good home.